Goulston & Storrs PC announced on Tuesday that an attorney with extensive Employee Retirement Income Security Act experience has rejoined its Boston office after a stint at Murtha Cullina LLP, boosting its corporate, employment and tax groups. 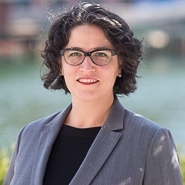 Sonia Macias Steele, whose practice is focused on guiding public and private companies as well as individuals through employee benefit and executive compensation affairs, returned to Goulston & Storrs as ERISA counsel on January 22, the firm said in a news release. She had previously worked at Goulston & Storrs from 2013 to 2016, when she left briefly for Murtha Cullina. Before joining Goulston & Storrs the first time, she worked as assistant vice president and counsel for an unnamed Fortune 500-ranked financial services group, according to the firm. “Her prior in-house experience, depth of expertise and broad practice wonderfully complement the team we currently have in place, and she is sure to bring added value our clients,” he added. Goulston & Storrs noted in its release that it has a “history of drawing attorneys back to the firm.” Often, they cite the firm’s culture and business model as a catalyst for rejoining, according to the release. In a statement Tuesday, Steele echoed that sentiment. Among other things, her background includes advising clients on ERISA compliance and issue avoidance, health plan redesign and rollout, nonqualified deferred compensation plans and federal health care reform compliance, the firm said. Asked what she enjoys about her work, she said "the complexity of the tax code and ERISA, and translating that into plain english for clients and colleagues, with a twist of practical advice." Steele earned a law degree from Duke University School of Law, a Master of Business Administration from the Duke University Fuqua School of Business and a bachelor’s degree from Georgetown University, according to the firm.